Stay confident for hours with a superabsorbent Wellness® Tabbed Brief that goes on and off with ease. 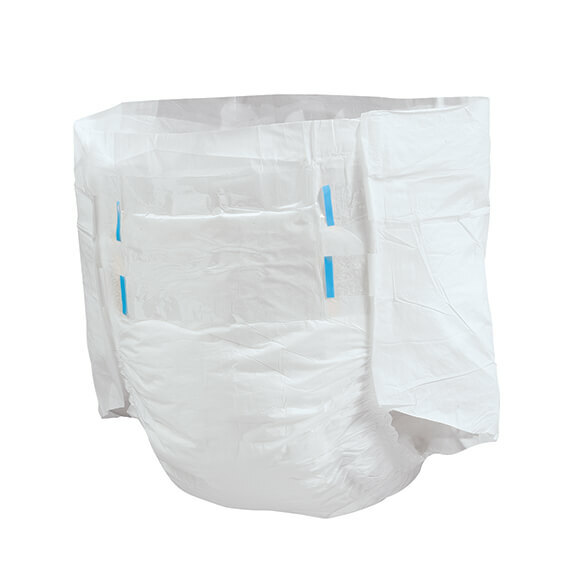 With a wide absorbent core and waterproof exterior, it reliably manages moderate to heavy urinary or bowel incontinence overnight or on the go. At just $1.94 each, they're cost-effective peace of mind. how large is xl how many inches is waist size ? BEST ANSWER: Thank you for your question. medium (fits 24"–36" waist), large (36"–46") or XL (46"–67"). We hope this information will be of help to you.